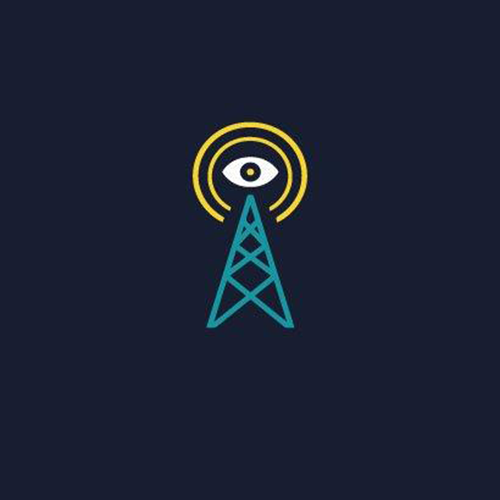 The ACLU of Washington today filed a lawsuit against the Tacoma Police Department (TPD) over its failure to disclose records related to its use of stingray surveillance technology. The suit says the TPD’s failure to produce these records violates the State’s Public Records Act, which is designed to ensure that the public can hold its government accountable. The stingray is an invasive device that indiscriminately gathers information about cell phone locations and usage from any cell phone within its range. Every time the TPD uses its stingray to obtain information from one person for a criminal investigation it is actually gathering information from everyone whose phone is in range of the device – whether they are at home, at school, or just walking down the street. For years, the Tacoma Police Department has hidden its use of stingray surveillance equipment from the public and from the courts. The suit seeks documents that would shed light on how and when this equipment is being used, both to help community members understand what their own police department is doing and to enable the public to hold its government accountable. The suit was filed on behalf of four Tacoma community leaders who are troubled by the Tacoma Police Department’s attempts to hide its use of this equipment: Pastor Gregory Christopher, Reverend Dr. Arthur C. Banks, Whitney Brady,and Elder Toney Montgomery. “I am very concerned about the impact of police surveillance activities on the community, and I believe that the community has a right to know how the police department operates. Transparency is a key to maintaining healthy relationships between law enforcement and the communities they serve. The Tacoma Police Department should not be allowed to continue to evade public oversight,” said Pastor Gregory Christopher. Stingrays, also known as “cell site simulators,” are devices that mimic the cell phone towers that mobile phones use to engage in telephone, text message, and internet communications. The stingray broadcasts a signal that forces all nearby phones to connect to it. Information on phones belonging to everyone within range is captured, not just that of phones belonging to the targets of a police investigation. Documents disclosed about stingrays being used elsewhere in the country indicate that these devices may also be capable of intercepting voice, message, and internet communications as well. For years the Tacoma Police Department used this invasive device pursuant to court orders it received from Pierce County Superior Court. The issue became a subject of public controversy when it was reported that local judges had not been told how these devices work or that they collect the information of people not suspected of criminal activity. So much public concern was raised after the TPD’s use of stingrays became public that in 2015, the Washington State Legislature unanimously passed a new law placing limitations on use of stingrays by police departments. The Plaintiffs filed a public records request with the Tacoma Police Department for documents regarding its use of the stingray, including information about the capabilities of the device, the history of how it has been used, and whether and how the department currently complies with the new stingray law. The TPD has failed to comply with the request, refusing to provide information that is vital to public oversight. “I hope that this complaint makes progress towards actual concrete reforms and bringing about transparency and accountability to our city’s most powerful department,” said Whitney Brady. The plaintiffs are represented by ACLU of Washington staff attorneys La Rond Baker and Jared Friend and ACLU-WA cooperating attorneys Jamila A. Johnson and James R. Edwards of Schwabe Williamson & Wyatt, P.C. • Reverend Dr. Arthur C. Banks is the pastor at Eastside Baptist Church. Rev. Dr. Banks has been with the church since 1987, and under his leadership, the church increased its membership from 68 active members to more than 400 active members. Most members live in the Hilltop neighborhood, an area especially impacted by the Tacoma Police Department’s practices. • Whitney Brady has lived in the Hilltop neighborhood for 29 years. In 2015, Mr. Brady ran for City Council in Tacoma on a platform that included police accountability. He also has coached youth sports in Tacoma. • Pastor Gregory Christopher is the pastor at Shiloh Baptist Church and a prominent spiritual leader in Tacoma’s African American community. For decades, Pastor Gregory Christopher has made police-community relations a central part of his ministerial work. • Elder Toney Montgomery is a spiritual leader at Fathers House Church and serves as the chair for the Tacoma Ministerial Alliance. The organization works collaboratively with many other community and faith-based organizations by advocating for freedom of worship and social and economic equality.